In the mid-1850s, a small mill village known as Eureka Cotton Mills sprang up along the banks of the Chestuee Creek in eastern McMinn County. In the 1890s, Nannie Chesnutt, the sister of Eureka Cotton Mill owner Sallie Brient, suggested that the town be renamed “Englewood” because the rolling hills surrounding the community reminded her of the “forests of Englewood” referenced in Robin Hood. The name change would prove to be fitting for the close-knit hamlet as over the next 120 years the small East Tennessee town would write a distinctive and eclectic history that would rival any fictional story.Englewood’s history contains both heroes and heroines. The town’s legends are made up of courageous entrepreneurs who put it all on the line to make better lives for their families, rugged individuals who believed in hard work and self-reliance, bold citizens who demanded reform, brave patriots who fought for freedom and many inimitable characters who were simply one-of-a-kind. One such individual was Howard Goodin, who made national news and even earned a record in the World Almanac by sitting in a tree for forty-five days without coming down. Another groundbreaker was Mary Ellen “Ma” Brendle who, in 1940, was Englewood’s, and perhaps Tennessee’s, first female mayor. She pledged to end the town’s staggering debt and fulfilled her campaign promise by the close of her term. Astor Bloom also left his mark. As a wealthy railroad investor, Astor left a sizeable fund to the Town of Englewood when he died in 1944 to provide clothing for needy children each Christmas. The fund is still clothing children to this day, and in keeping with Astor’s wishes, each article of clothing given away has a card in memory of his mother that reads “By Martha A. Bloom, in Jesus Name”.These stories and many more pieces of Englewood’s remarkable history are housed in the Englewood Textile Museum. Founded by the Community Action Group of Englewood in 1994, the institution originally focused solely on Englewood’s textile industry and the strong, independent women who were at its core. While much emphasis remains on textiles and how the industry shaped the town, CAGE has expanded the museum’s scope to include the histories of Englewood’s businesses, churches and the former Englewood High School. The museum has been expanded three times and now includes “The Chesnutt House”, which is the only remaining home of Englewood’s earliest textile mill owners and is on the National Register of Historic Places. The Chesnutt House displays exhibits on local war heroes, the town’s founding families and wedding dresses throughout the twentieth century. 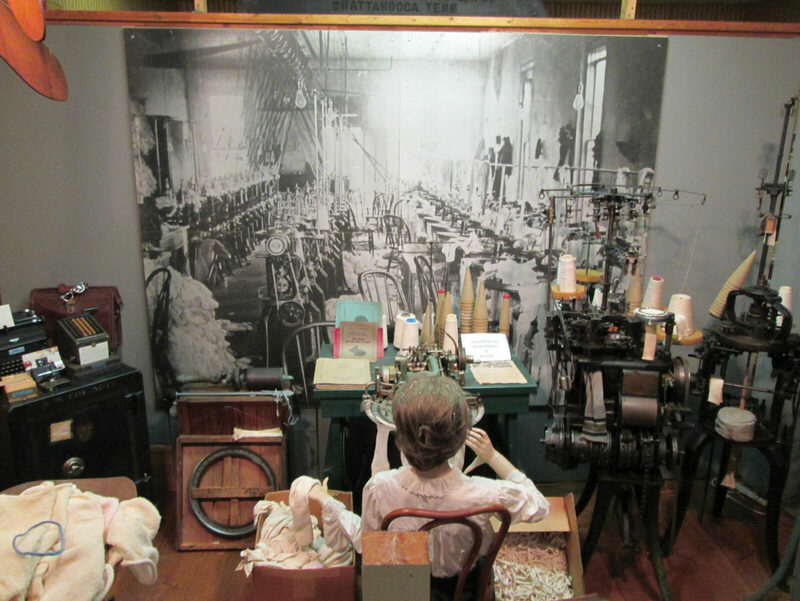 Those visiting the Englewood Textile Museum will find themselves immersed in the history of a proud people. The accounts they hear will be those of good times and bad, of overcoming great odds and of triumph and defeat. They will experience the story of small-town America, the story of Englewood. Let us start with a little American bee history. As English and Spanish settlers came to North America, they brought with them their native honey bees Apis mellifera mellifera and Apis mellifera iberica, respectively. As Europeans colonized and spread across our continent, Native Americans recognized the “white man’s fly”, or the honeybee. These imported bees would precede settlers as this introduced species outpaced the Europeans in their colonization of the continent. So, honeybees are not native to North America and Honeybees are the only genus of bees that produce combs of harvestable honey. Today, we are having trouble in paradise. Our bees are sick, wild bees which number almost 4,000 different species as well as hived honeybees. The Bee Informed Partnership, a consortium of universities and research laboratories questioned 5,000 beekeepers. They reported losing 42.1 percent of their colonies in the 12-month period that ended in April. That is well above the 34.2 percent loss reported for the same period in 2013 and 2014, and it is the second-highest loss recorded since year-round surveys began in 2010. Bees are vital because without them, pollination of some crops doesn’t occur. Estimates are that over 240,000 species of the world’s flowering plants rely on animal pollinators. 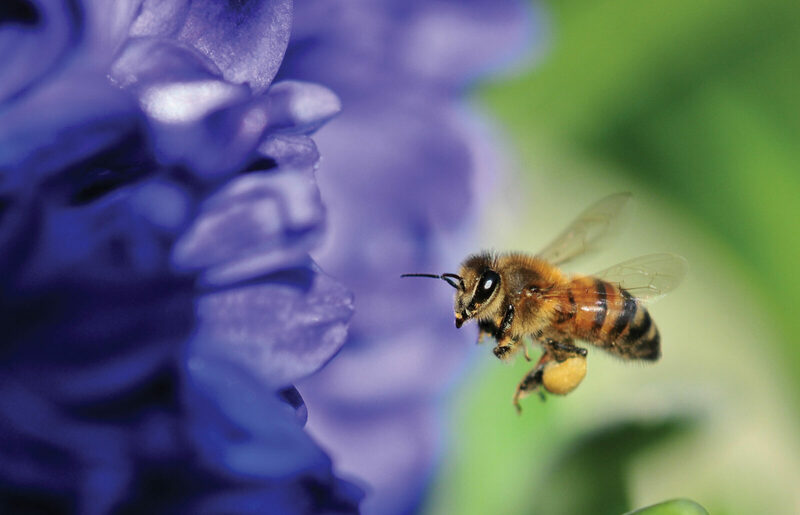 Bees work tirelessly to provide us with our food. In recent years it has become apparent that all bees, not just the honeybee, are under threat.We as individual gardeners can decide which flowers to grow for pollen and nectar that will feed bees and help them to increase their numbers. Today the private garden is a better place than the countryside for wildlife, since much agricultural land is now devoid of the diversity of flowers that existed previously. Scientists in the field think that insects need as much variety in their food as we do to get all the trace minerals and vitamins to keep them healthy.More and more gardeners are anxious to do their part to help the bees by adding to the shrinking inventory of flower-rich habitat in their area. In return, the bees will pollinate your flowers, providing a bountiful harvest of fruits, seeds and vegetables as well as the joy of you getting to watching them up close. You don’t have to be a beekeeper to enjoy bees.Actions that we can do to help the bee plight:Rethink your lawn. Replace part or all of your lawn grass with flowering plants, which provides food and habitat for bees and other wildlife. I know you think grass is easier, but just give a corner up to flowers. Select single flower tops such as daisies and marigolds, rather than double flower tops such as double impatiens. Double headed flowers look showy but produce much less nectar and make it much more difficult for bees to access pollen.